The AKNO Group operates globally in the real estate market, providing construction and development services for both industrial and commercial projects. Today, AKNO Business Parks is leader in the development and construction of industrial and logistical projects globally. 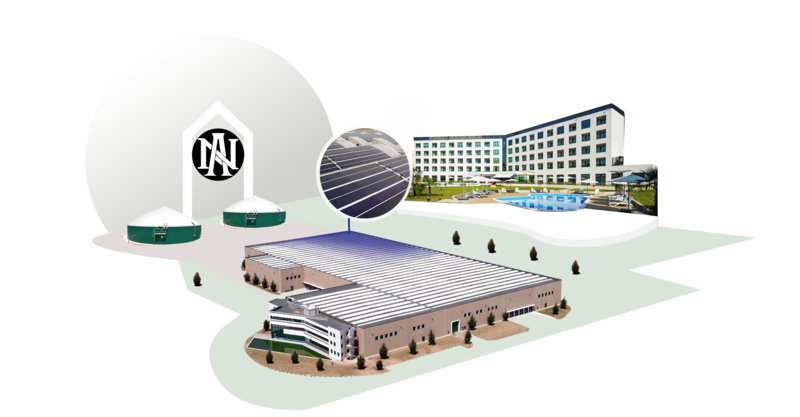 AKNO Energy centers on the production of green energy. AKNO Hotels operates in the tourism and hotel industry. AKNO Engineering & Construction specializes in the development and construction of turn-key projects. AKNO Management Services offers its professional expertise to private and institutional investors, hedge funds, private equity firms, financial intermediaries and anyone who requires our skills in managing their real estate portfolio.